https://debkrumholz.com/podcasts-and-websites/Sometimes our acronym-inundated language drives me a bit crazy, but I love this one! So, to set the stage, first came FOMO (Fear of Missing Out), an acronym that's been thrown around for quite awhile. FOMO is all about comparison and feeling we're falling short, being left out, falling behind. It seems to touch upon an underlying anxiety that many of us have that we're missing out, that we're being excluded and that other people are having more fun than we are. 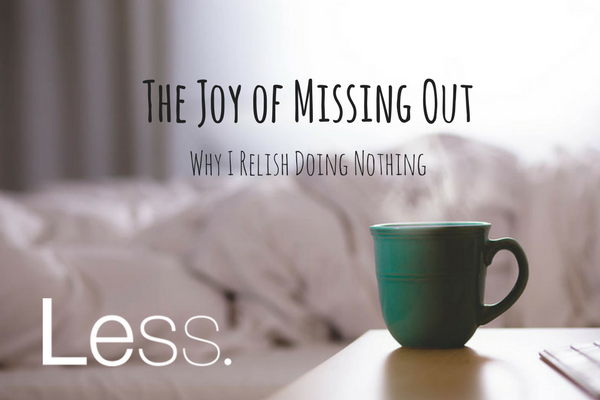 Enter JOMO (Joy of Missing Out), an acronym that has more recently come on the scene and gives us a framework to help us counter FOMO and relax into the belief that we have enough, we do enough. JOMO refers to actively deciding to (joyfully!) say, "no". "No'' to trying to keep up with some fantasy Joneses. "No" to having to attend every activity and social event that is available to us. "No" to feeling that something is wrong if we aren't out every weekend night. It's about purposefully choosing to just do the things that energize us and fill us and to let go of the rest. There are a number of ways to cultivate JOMO but the simplest way (although not easiest!) is to reduce the time you spend on technology and social media, which only serves to exacerbate FOMO. For me, simply having language and naming JOMO as a possibility, immediately gives me some relief and freedom to let go of the FOMO mindset. Check out Christina Crook's book, The Joy of Missing Out, Finding Balance in a Wired World. I've been enjoying Slow Home Radio, a podcast hosted by a couple in Australia, Brooke and Ben (see my Recommended Podcasts & Websites). They're very charming and I like the ideas that they're advocating, however simple they may be. In this episode, their conversation is focused on JOMO. This article is a quick read by Oliver Burkeman from the Guardian. Burkeman describes his experience with JOMO like this, "...staying aware of what I'm not doing enhances my sense of actively choosing what I am doing" and he observes that, "if FOMO arises from second-guessing your choices, JOMO means taking ownership of them - whereupon FOMO falls away." Writer Michelle Manskie writes about embracing JOMO in this article and says that it's about "understanding yourself, your needs and your desires and choosing to live in a way that energizes you" and that JOMO "encourages us to embrace the pleasure of choosing what we want to do (or not do), in a way that engages and fulfills us".